Exhibition at the Bulgarian Cultural Institute in London. November 2nd to the 11th. Exhibition runs until June 5th. Viewing is by appointment only - to arrange a viewing please contact Full Circle or myself. So, what is "salutogenesis?" Mother Theresa once said that she would not join a march against war but would join one for peace. Such a march, she argued, would not only empower people to end war, but also help them create the basis for peace. In her view, the process of creating peace was different from merely ending war. 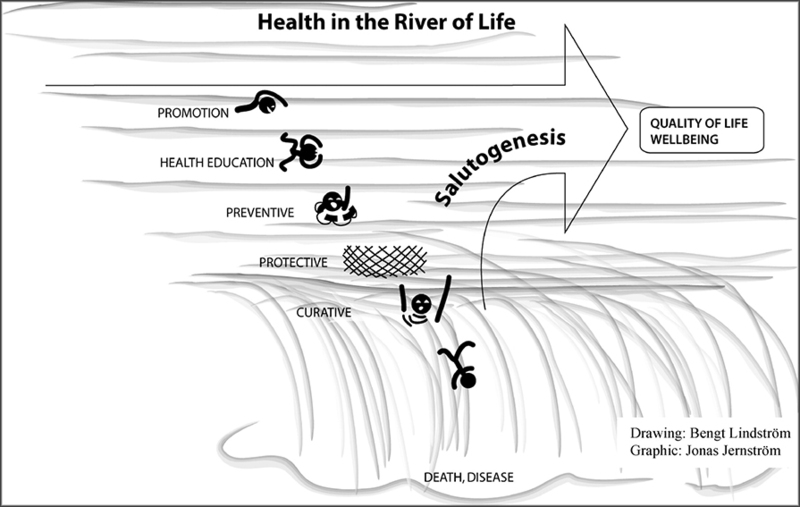 In the same way, the concept of salutogenesis implies that professionals - and not just health professionals - should work to create health rather than simply focusing on treating or preventing disease. Since my last blog about salutogenic design I have been offered the above description of salutogenesis which I thought I would share with you. In this second part of my blog post about salutogenesis I would like to focus on the role of art within this theory. A salutogenic approach to healthcare design can be strengthened through the use of artwork. If an artwork in a hospital waiting area can provoke positive contemplation, offer a sense of beauty, reflect the calming quality of nature, it surely offers a sense of meaning. This is especially the case when the creation of artworks is carried out in collaboration with patients. 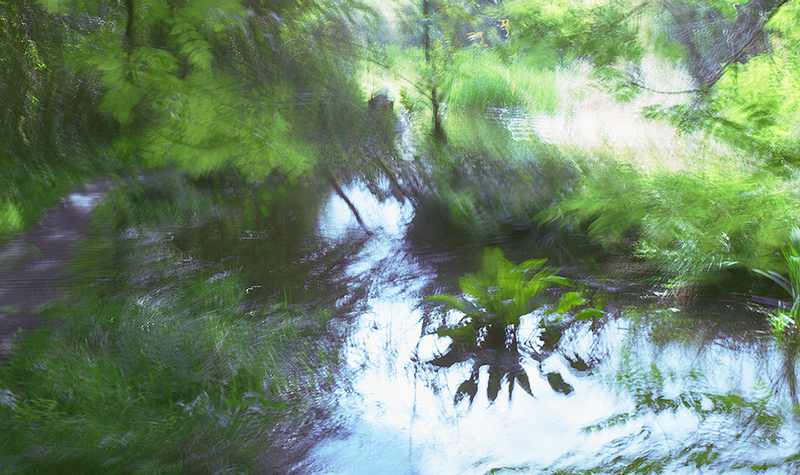 I work with landscape, focusing on the experience of nature and people’s memories. For the last 10 years I have worked on healthcare projects and witnessed the positive effect of landscape and nature images on patients and staff in the healthcare environment. So, to return to Antonovsky’s notion of a sense of coherence which is supported by three elements; meaningfulness, comprehensibility and manageability , it is clear that artwork has a role to play in building that triangle. Creative workshops underpin the making of artwork and open up dialogue between patients (and staff), fostering a sense of positivity, a healing process which lessens the sense of isolation and accentuates the meaningfulness of life. Creative intervention in the healthcare environment not only works to increase the patient’s sense of meaningfulness but also their sense of comprehensibility and manageability. For if creative workshops and the experience of art can work to give meaning to life they also increase one’s understanding of life (comprehensibility) and also motivate an individual’s belief that they have the skills and abilities to persist (manageability), in spite of stress and anxieties they may feel. Just last week on a workshop at St Giles Palliative Care Hospice one patient made the comment: ‘Whilst we were working together in the sessions, I forgot I had cancer.’ This is what it is all about, using creativity to harness a sense of wellbeing. Artwork and creative workshops in the healthcare environment can play a vital role in the healing process but could also be part of our general well-being, not just when we are in poor health. For a true salutogenic approach to healthcare should not just be in place when we are ill, but should be in place when we are healthy and with the intention to create health and not just treat disease. "At its heart, the salutogenic approach focuses on the maximisation of those assets which create health, wellbeing and successful lives of individuals. The traditional pathogenic approach focuses more on avoiding problems than on enhancing potential." "We each have a need and natural aptitude for art that we realize how much we miss only when we find ourselves without other supports in our lives....For older people in general and people living with Alzheimer's disease in particular who have lost work roles and take part in fewer intimate family activities, engagement in art and art experiences play a special role. The arts can provide meaning in what to many is experienced as an ever increasingly meaningless life. Art connects people to their culture and to their community. It gives meaning to life and it is meaning that people with Alzheimer's so dearly crave." Schama S, (1995), Landscape and Memory, pp. 6/7; Harper Collins, London. Over a period of 5 months from 2011 - 2012 I have been visiting the Worcestershire/Shropshire landscapes around the town of Tenbury Wells. 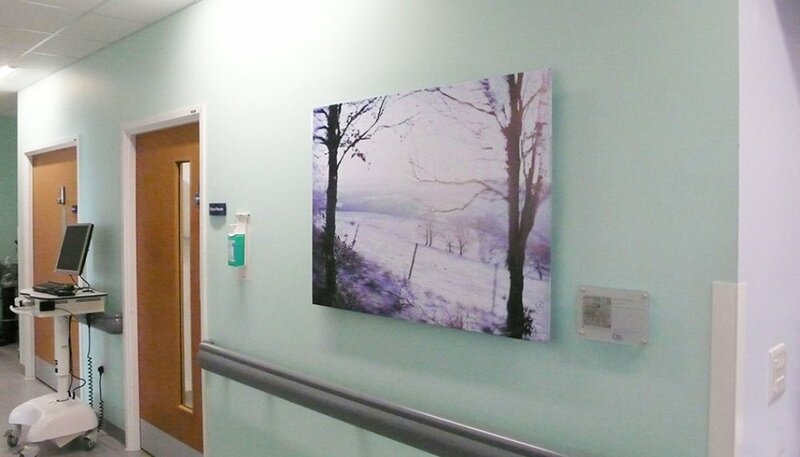 My brief was to make 2 large works for the new male and female wards in Tenbury Hospital. Working with staff and patient representatives, locations and viewpoints were discussed and a shortlist was made of the best local landmarks and viewpoints. Returning to the area over many months I became familiar with the area and finally settled on two viewpoints to work with for the final two pieces. It was then just a case of returning time and time again until the light was right and then for the magic to happen on the film (which is not easy given the experimental nature of my work). Although each image was made in a matter of seconds, I think there are at least 10 days of driving, walking and waiting behind each one! I have recently been reading about the theory of salutogenesis, in particular salutogenic design, and would like to share this interesting and pertinent theory. The term ‘salutogenesis’ was developed in the 1970’s by Aaron Antonovsky, a professor of medical sociology. It is derived from the Latin salus meaning health and the Greek genesis meaning origin, so it could be phrased as the 'origins of health'. The salutogenic approach to healthcare looks at the origins of health as oppose to the pathogenic approach to healthcare which looks at the origin (or causes) of disease (pathos). Salutogenic theory looks for the root of unhealthiness rather than just treating the disease. ]According to Antonovsky’s theory of salutogenesis, a strong sense of coherence (SOC) promotes good health. Antonovsky divided the notion of SOC into three components; comprehensibility, manageability and meaningfulness. Undoubtedly meaningfulness is the most important of the three as one requires a sense of meaning in their life in order to persist, to carry on and face challenges which life presents them with. Given a sense of meaningfulness, one is motivated to comprehend and manage events in their life. This is a school of thought centred on well-being, healing not just the body, but the soul. The advocates of the salutogenic model are not against the pathogenic model, but believe a combination of the two approaches is required to develop a greater understanding of both health and disease. The pathogenic approach focuses on treating or curing the disease, while the salutogenic approach focuses on well-being, promoting and maintaining good health. Salutogenic research has been carried out widely in the medical world but only in recent years is the theory slowly beginning to penetrate practice in the real world and become a part of healthcare policy. In the field of healthcare design, salutogenic theory is becoming incorporated into architecture. It is at long last becoming widely recognized that healthcare buildings need to be uplifting, welcoming spaces, promoting health and well-being, creating positive spaces with light, colour and fresh air. Tragically, the architecture of our healthcare buildings of the past century have offered quite the opposite. Following on from my last blog post which looked at long exposure photography and the writings of Walter Benjamin, I would like to share the work of Michael Wesely, a German photographer who makes incredible exposures which last up to 3 years! His photographs reveal the developments of Berlin, a city which has changed dramatically over the past decades. 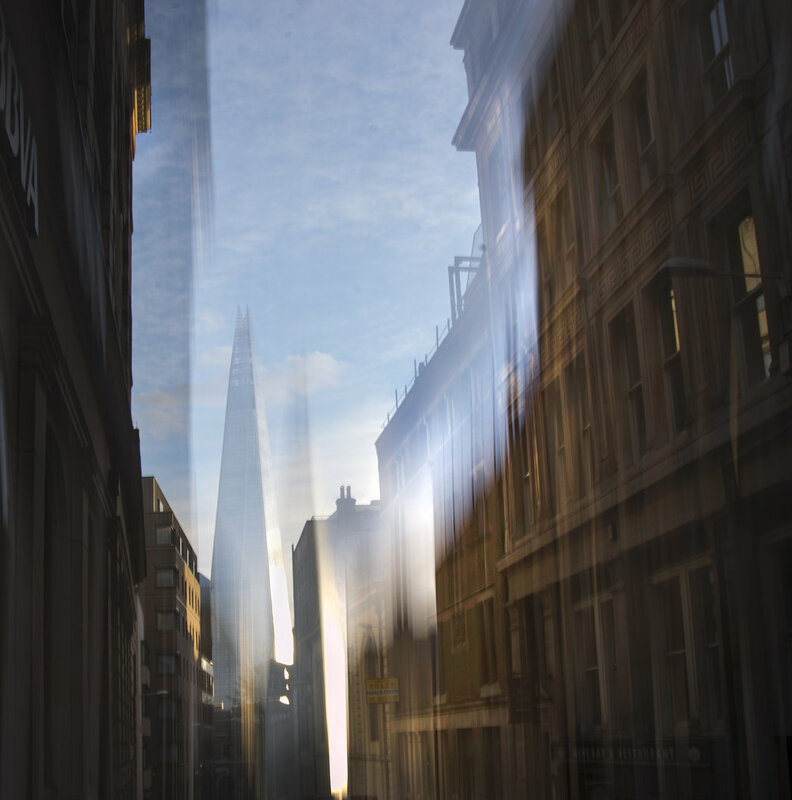 In just one of Wesely's photographs he shows the destruction of the old and construction of the new, all within a single frame and captured on one piece of photographic film. 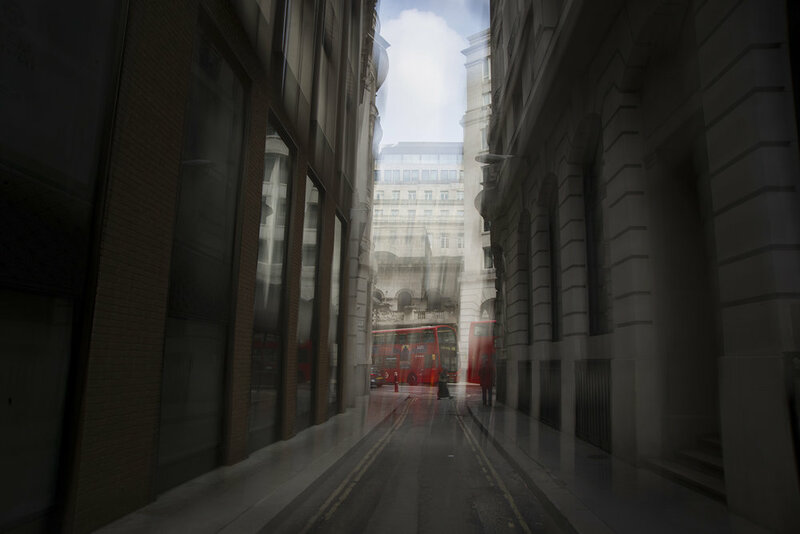 Michael Wesely has been using his non-digital, film photography process since the 1990's using mostly black and white through to recent years when he has also used colour. From 2001 - 2004 he documented the demolition and reconstruction of Moma (The Museum of Modern Art) in New York. Wesely's photographs are far removed from the modern snap-shot and could be said to reinforce Walter Benjamin's notion of 'aura'. They reveal the transitory nature of urban construction, an absence of human life (since we move too much to register on the film!) and at the same time reveal the movement of the earth over the year(s) through the light lines which record the different positions of the sun throughout the seasons. When I look at early portraits such as those by David Octavius Hill and Robert Adamson, I cannot help but feel that they capture an essence, an honesty that the modern snapshot so often fails to achieve. I see a sense of time and what Walter Benjamin referred to as the ‘aura’ of the person. There is a softness in the eyes, simply caused by blinking during long exposure photography and there is an absence of mimics and grimaces since any momentary facial movements could not be captured. So the face is captured in its most natural state in contrast to the modern snap shot which we are all too familiar with –in which we are often captured in unflattering split second mimics. 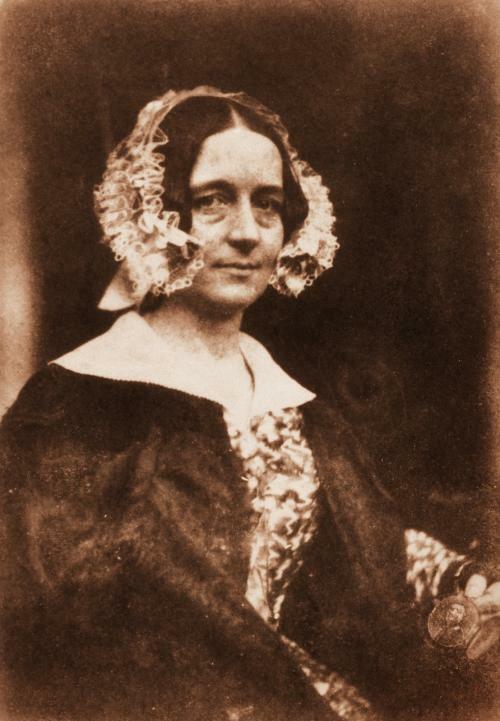 Above right: David Octavius Hill (Scotland, 1802—1870) and Robert Adamson (Scotland, 1821—1848), Portrait of a Lady, c. 1845, salted paper print from a calotype paper negative. 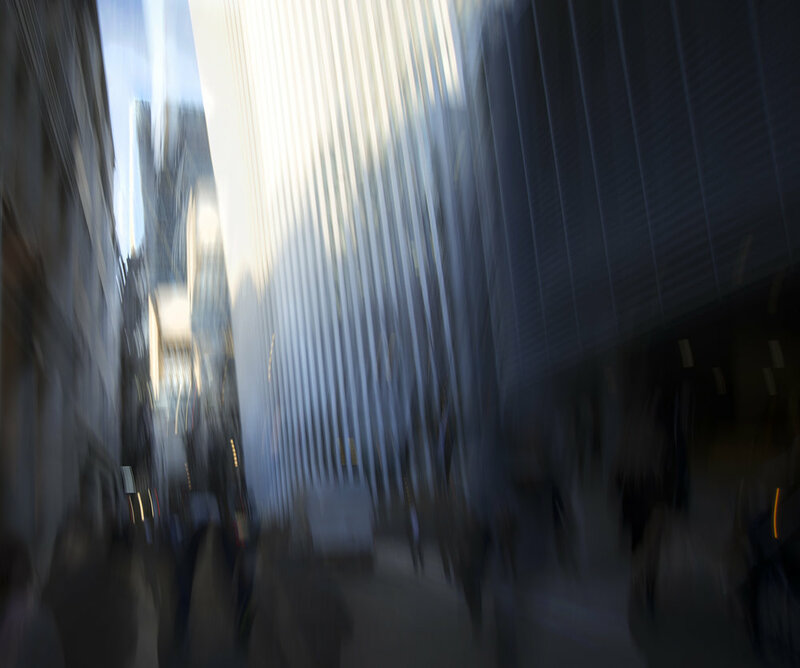 The short exposure enables us to capture 'reality' - or as I might call it, a 'slice of reality' - in detail, but I feel it also removes a dimension of reality - the dimension of time. Time does not stop in our experienced reality and we are not able to stop a fraction of a second in our minds as the camera does. Time by its very nature is continuous. The short exposure reveals to us what we are actually unable to experience with our eyes, but through this dissection of time, time itself is, in most photographs, absent. 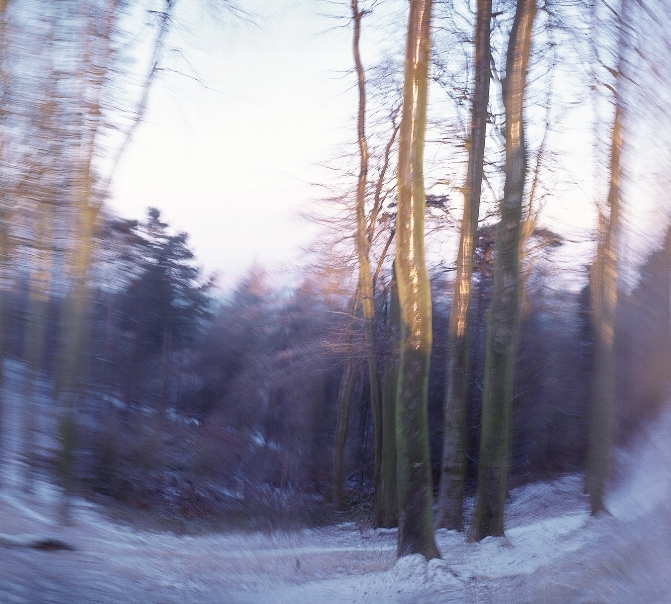 The long exposure on the other hand allows movement to leave its mark, suggesting the passing of time which is closer to our experience of time. When I first began taking photographs seriously I was often disappointed when returning from a shoot. Although I may have captured that place technically well and shown in a few images how it looks, I never felt that a photograph captured how it really felt when I was there. In the same sense that Walter Benjamin wrote about the aura of people in portraits, I feel that landscape too has an aura. I want to capture a feeling of place and for me the obvious approach was to allow more time to be recorded by the camera. When walking through a landscape (or a city) I do not want to stand still and frame a moment but rather to allow the place and my journey through it be recorded on the film. I hope that through the long exposure onto film and my movement with the camera through a space, time is captured not as a momentary fragment, but as an impression which reveals the aura, the essence of that place. Over the years I have been asked to give talks about my work to various groups of people ranging from school children to the elderly, in places ranging from community centres to corporate offices. I have organized pinhole photography workshops for primary school groups, taught creative photography modules for A-level students and run community engagement arts projects. Following on from this, I have now decided to offer photography workshops and photography talks which can be booked by the hour, day or as a series of workshops. Rather than offering fixed workshops, I hope to develop the format and content of each workshop/talk depending on the needs and interests of each group. Follow the link below to download a Pdf document which outlines what I could offer for photography students from Further Education through to Higher Education. I feel that there is a need to connect students of photography to the world of professional practice which awaits them and I hope that I can offer some insights which may help them on their way. Ideally each workshop can be custom designed to suit the needs of each course/student group. Workshop fees are negotiable, depending on number of hours/days/sessions and on any travel and materials required. If you would be interested in arranging a workshop or presentation for your school, company, club or community group, please get in touch. 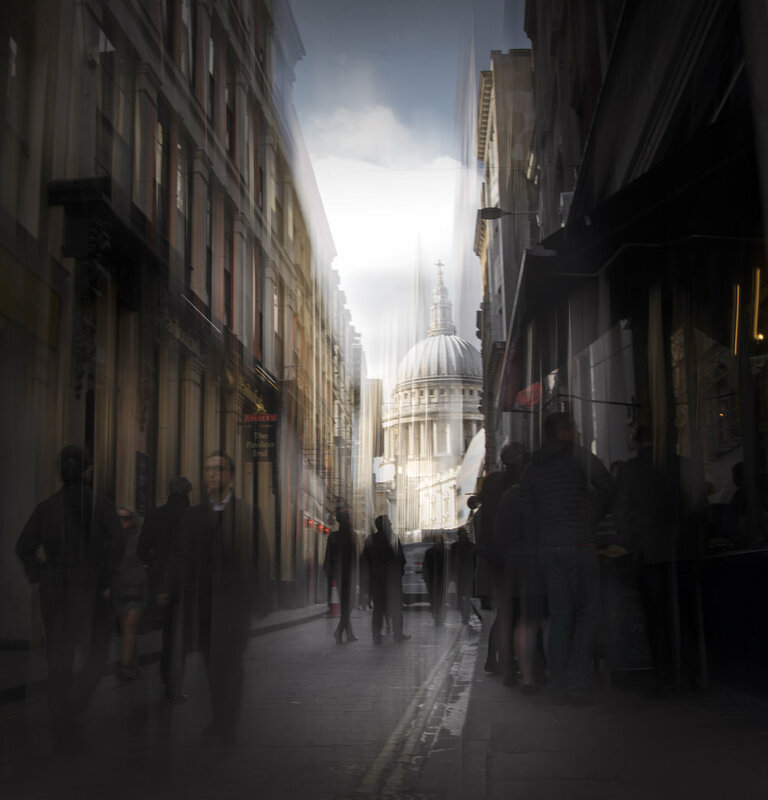 Creative Photography and Pinhole Photography workshops for schools, clubs, corporate groups, camera clubs and community groups. 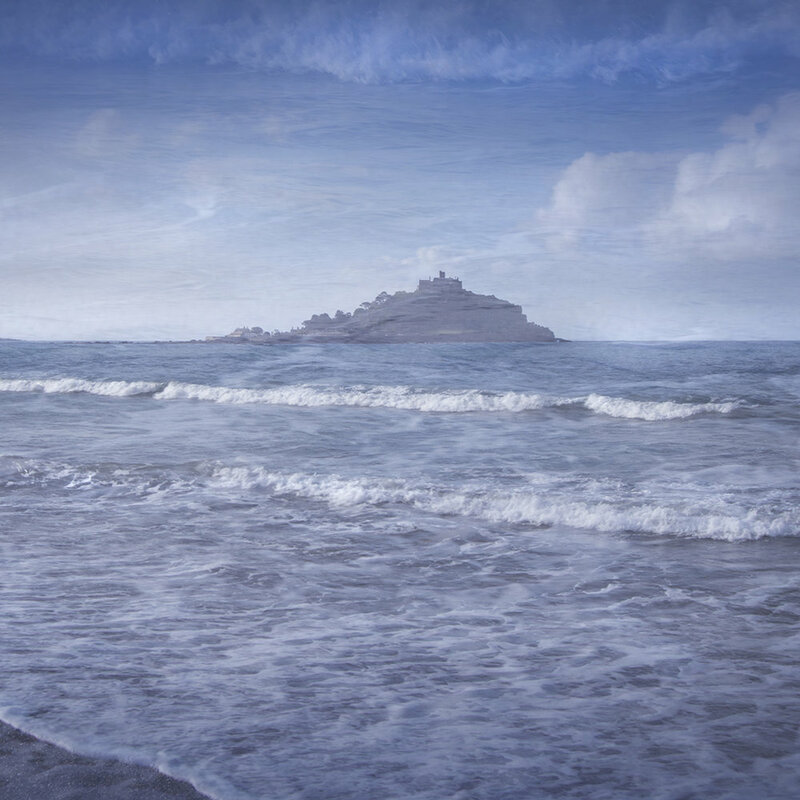 Talks and workshops about my fine-art panoramic photography, experimental photography, pinhole photography, landscape photography, non-digital photography, photography field trips, career development workshops for art and photography students, portfolio reviews. 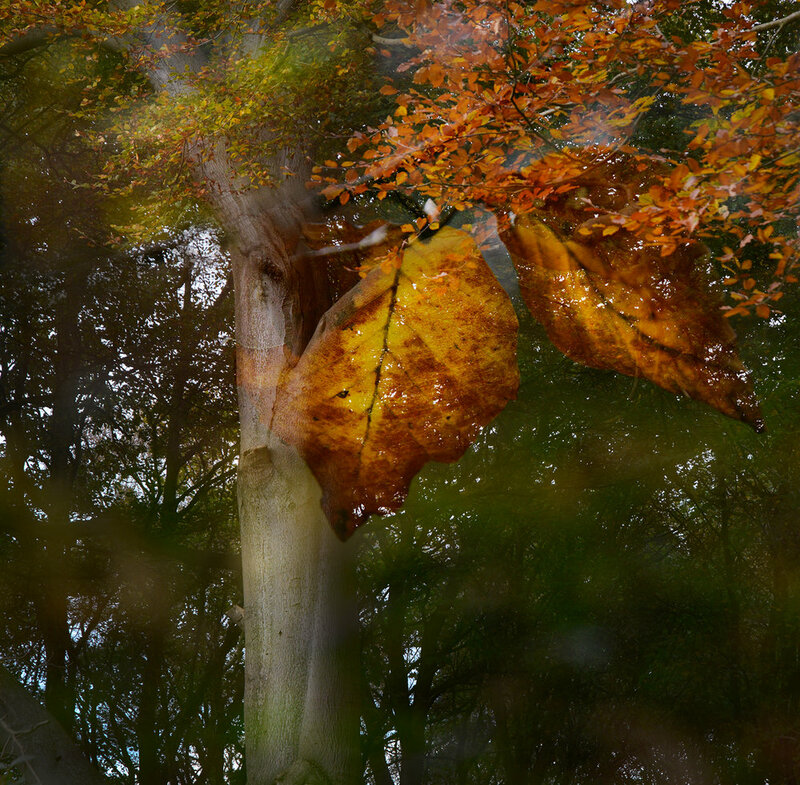 Park Lime Pits was specifically made as an artwork for palliative care. This piece was made as a commission for the St Giles Palliative Care Hospice in Walsall. Through visits to the “Friday group” at the Day Centre, I got to know some of the people who were about to move into the newly built Palliative Care Hospice. Park Lime Pits was a local nature reserve, one of which many of the people at the hospice had stories to tell. For one elderly lady it was a place where she once used to meet or ‘court’ with her partner in the evenings, another remembered spending days playing down there with other children, trying to catch fish and generally messing around freely in the pond. For others it was a place to go for a quiet walk, to spend some contemplative time. To me, this place did not hold any of these memories, I was very much an outsider, not even a local. I visited this small nature reserve, centered around a large pond, many times over a period of 5 months. I walked around at sunrise, at sunset, on winter mornings and summer afternoons until slowly I found the view I wanted to capture. It was very obvious view from the main approach along a footpath down to the pond, but somehow that was the essence of this place, the discovery of a pool of water in a wooded hollow in the landscape. There was a feeling of something hidden within the landscape, a place kept safe, private, away from the open skies. From the stories people shared with me about Park Lime Pits, I felt that it was a magical place, a place of innocence and freedom. A place where time did not matter. Time here, whether it was now or 50 years ago, was one. This was a place of retreat, of sanctuary. Making artwork for palliative care was quite a different experience to other healthcare commissions I had worked on. Most of the people I talked to about this place will probably never have the chance to visit it again in their lifetimes. This had a sobering impact on me but also made me want to really capture the essence of this place. So it was so important to capture it just how it was for them, and how it is for them- still vivid in their memories. I was planning to photograph this location for the main reception of the hospice and knew that it had to be a vertical image and that it would be a light box. I wanted it to have the feeling of a view into another world, like a sneak preview of a hidden garden, a rich habitat of fervent green undergrowth and tranquil waters. The fact that in reality now it might have been a pond with the occasional shopping trolley, car tyre or beer can, really did not matter. This piece was to be about memory and in honour of real human memories, those which live on beyond the everyday experience of life. While this image was my preference for the reception of the hospice, I wanted to first get feedback from the people whose memories it was to represent. At the Day Centre, there was an overwhelming vote for this image and subsequently the Creative Development team, NHS steering group and the architects all agreed that this was the piece. The relationship between art and therapy has existed since the beginnings of humanity. In ancient times the figure of the healer and artist would often overlap.The shaman in many primitive cultures would play the role of a healer and incorporate art such as dance, visual art, music, etc. in his healing processes. It was believed - actually throughout the whole human history - that soul and body were connected and the attempt to heal the body was not done without an attempt to heal the soul. There is an ancient Roman and Greek proverb: Mens sana in corpore sano (in Greek: Νοῦς ὑγιὴς ἐν σώματι ὑγιεῖ - "Healthy spirit in healthy body"). Even in Christianity the first icon-painter, St Luke the Evangelist, was also a doctor. Our physical health goes hand in hand with our mental and emotional health. We need to be healthy, but we also need to feel healthy. Art is connected to the human spirit; we are creative beings, whether it is to create or to experience a created work. Art gives us strength, inspiration and a feeling of being alive. All this applies to all kinds of art and creativity in general, but even more so to visual art. Out of the five senses, the sense of vision is the most developed one in humans. Have we not heard the expression: "The eyes are the windows of our minds"? So while it may seem that the idea of art for hospitals is something new, it is in fact an old concept which has been somewhat abandoned in recent times and only just making a come-back. I was commissioned alongside two other artists (Kate Green and Mark Renn) to make a body of artwork for the new Burns Centre at the Queen Elizabeth Hospital in Birmingham. The new hospital, completed in 2010, is a modern state-of-the-art building in many respects but due to its design with internal courtyards, some departments such as the Burns Centre found themselves relocated to new spaces with little or no natural daylight. The 15 spacious and private patient rooms all have windows but only to the internal courtyard where daylight hardly reaches. Artists were therefore brought in to bring a sense of light and the outdoors into the Burns Centre. The function of the artwork was intended to have both environmental and psychological benefits. Speaking to staff and patients, I soon realised that there was a desire for light and nature, particularly horizons and long reaching views which they were otherwise deprived of during their stay. Many critical patients stay from days to weeks or months in the department and for many it is a place of rehabilitation after serious surgery. For many the corridors of the centre are the areas in which they begin to walk and get out and about again for the first time. My brief was to make artworks for these corridors. The artworks I made act as 'way-markers' not only for navigating around the centre but also as individual ‘goals’ for rehabilitation patients to reach as they become more mobile. It was therefore essential to discuss the project with patients before making the work. Patients spoke of wanting to see nature, to see a big horizon, trees, water and the sky.It was decided to make the body of photographs within the catchment area of the hospital, therefore keeping it local and also with the addition of plaques with maps, hopefully each of the photograph represents a ‘real’ place that they can go and explore for themselves one day. Both patients and staff were happy to talk about places they would go for walks and time out and I soon had a long list of places to visit. I hope that with my artworks I offer the patients not only photographs of these places but also how it feels to be there. Colour was an important factor to consider when making work for the Burns Centre. Since many patients are coming in having suffered burns from heat or fire, a cool, soothing colour palette was desired. Thankfully it was winter and I was able to take advantage of the frosty mornings and even some snow on the hills around Birmingham. From the early stages of this project a psychologist was involved to assess the improvements made. A survey was carried out before the art was installed and then three months later. Before, staff reported that patients would complain about the blank walls, lack of things to look at and absence of daylight. After the installation of artwork, there was a noticeable difference in the comments from patients and staff, a general consensus of a better feeling. As a result of the project, comments such as "the rooms were boring and offered little distraction", coming from patients and staff, were reduced by more than three quarters. In terms of improvements to the clinical environment, the report suggests that as a result of the artwork, patients and staff were beginning to feel more positive about their surroundings. Besides the visual, 'decorative' function of my work, I do hope that the presence of my work will also offer spiritual healing to some people, to offer contemplation, to inspire imagination and ultimately to give hope. When I sometimes receive feedback from patients who contact me, explaining how my work helped them during their stay in hospital, it all seems worthwhile. If art can supplement the healing process, then surely it has a place in our hospitals as it does in our lives.